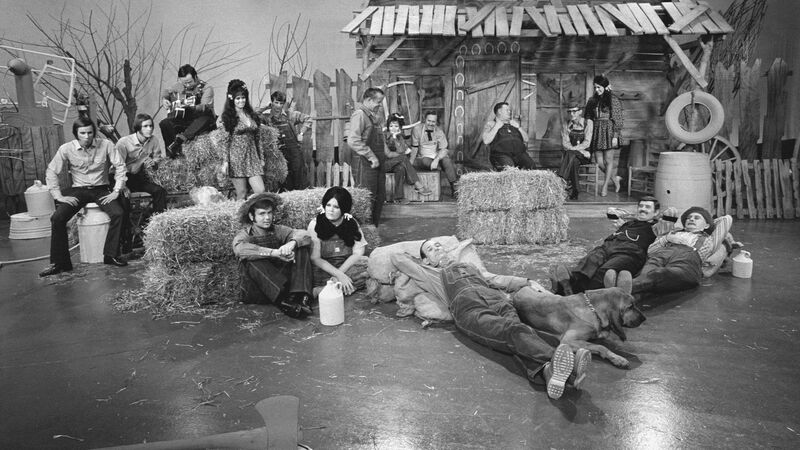 Here's where to watch every episode of Hee Haw season 7. Mouseover or tap an episode to see where to stream it. Click or tap the play icon to stream it on the best available service. Freddy Fender, Melba Montgomery Oct 25, 1975 Roy Clark and the whole Hee Haw Gang - "Ground Hog" Freddy Fender - "Before The Next Teardrop Falls" Buck Owens - "A Different Kind Of Sad" Melba Montgomery - "Searching For Someone Like You" The Hagers - "Listen To A Country Song" Kenny Price - "Dr. Feelgood" Melba Montgomery - "Don't Let The Good Times Fool You" Roy Clark - "Another Somebody Done Somebody Wrong Song" Freddy Fender "Wasted Days And Wasted Nights" Buck Owens - "Baptism Of Jesse Taylor"
Johnny Cash, La Costa Dec 13, 1975 Buck Owens and the Buckaroos - "Rednecks, White Socks, and Blue Ribbon Beer" Johnny Cash - "I Walk The Line" Roy Clark - "Love Is A Two Story Word" La Costa - "Get On My Love Train" The Hagers (w/The Nashville Edition) - "Back Home Again" La Costa - "This House Runs On Sunshine" Buck Owens and the Buckaroos - "Queen Of The Silver Dollar" Johnny Cash - "All Around Cowboy" Roy Clark and the Clark Family - "Silver Bells"